LOS ANGELES (Variety) – Accepting the award for best pop duo/performance, Lady Gaga took a minute out of her Grammy speech to address the issue of mental illness in the entertainment industry. It was the second award of the night for Gaga and her “A Star Is Born” co-star Bradley Cooper, who was across the pond attending Sunday’s BAFTA Awards in London. “A Star Is Born” tells the story of a rising star (Gaga) and her falling mentor, played by Cooper, who struggles with substance abuse problems and severe depression. 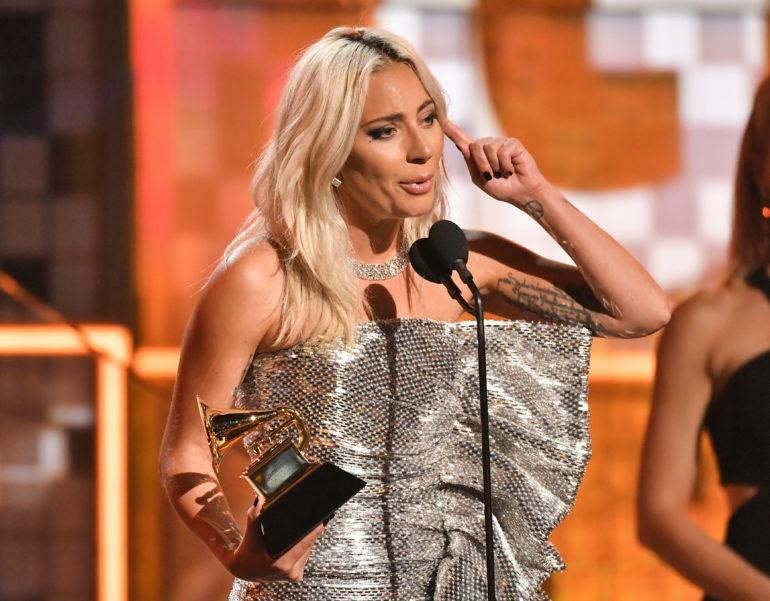 Gaga herself was nominated for five awards Sunday evening including four for “A Star Is Born” – record of the year (with Cooper) for “Shallow,” song of the year, best pop duo/group performance (with Cooper) and best song written for visual media. Her fifth nomination is for best pop solo performance for her piano version of “Joanne.” As of 6:30 p.m. PT Sunday, she had won a total of three Grammys. Next week, both Gaga and Cooper are set to take their duet performance to the Oscar stage where “” is nominated for best original song. Previously, the pair had performed a live version of the song during Gaga’s Enigma Las Vegas show after Cooper made a surprise appearance during the concert.